In the 17th century, John Stratford of the Stratford family - one of England’s largest landowners and richest families - acquired part of the manor of Nuneaton. 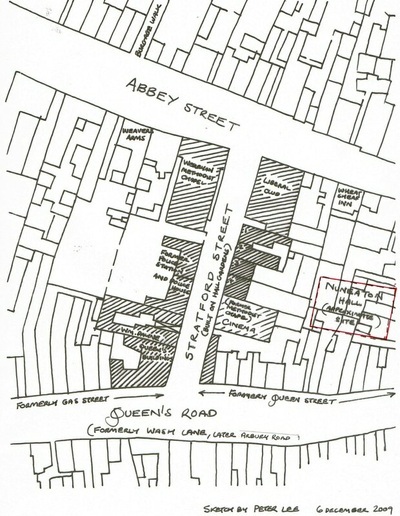 One of the properties held by the Stratfords was a remnant of the old Abbey in Nuneaton whose lands at that time extended down to the Market Place in Nuneaton. A few yards to the north of the Market Place was another substantial mansion, generally known as Nuneaton Hall. John Stratford’s mother (Abigail Stratford nee Pargiter) occupied this. It was a 'dower house' for the family (a dower house is generally a house occupied by a widow of a former owner), and had 10 hearths in the 1660s. It is not known when it fell out of use and became unoccupied, but by 1800 Nuneaton Hall was itself derelict and was demolished around that year. Stratford Street was built about 1850 on a piece of ground called Hall Gardens, which was part of the extensive grounds of the old mansion. 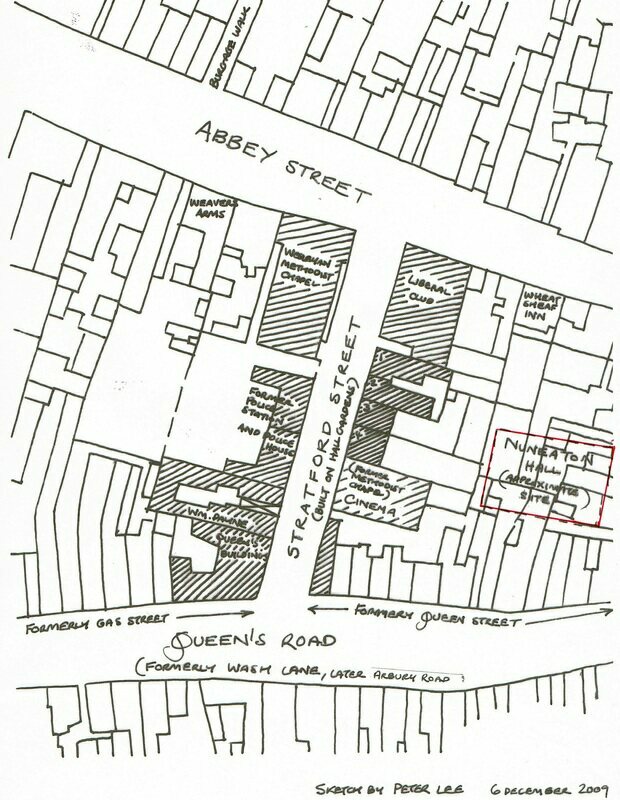 This area might have been the old Habbitt or Abbot’s house of the Abbey itself. 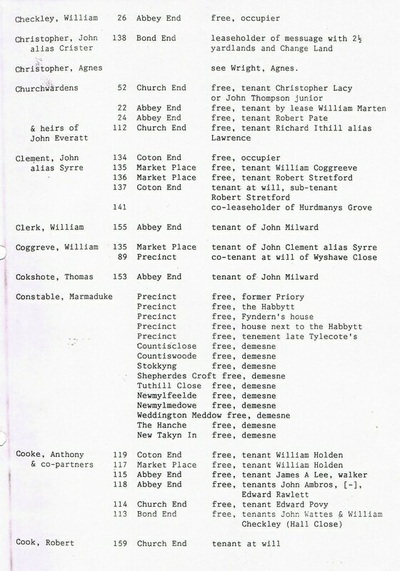 John Stratford also bought Horestone Grange in 1648. It became his principal seat, although he also owned the Brett’s Hall and Ansley Hall estates which he merged into one, and then Merevale where his descendents through a female marriage remain today – the Dugdale family. The site of Nuneaton Hall which had formerly been the Habbit of Nuneaton Abbey. It was granted with the town and Abbey grounds to Sir Marmaduke Constable and descended through the lordship of the Manor to the Stratford family who were extremely wealthy land owners and were acquiring property right across North Warwickshire. 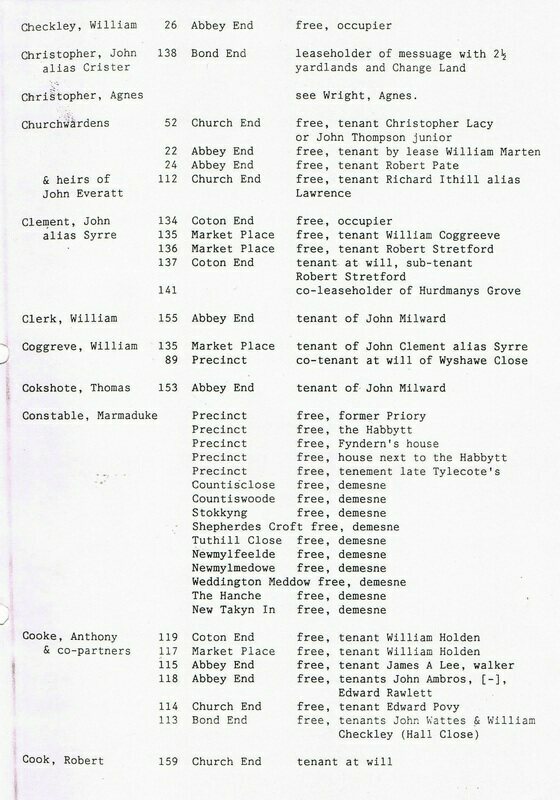 They purchased Horestone Grange then Nuneaton Hall (which was used as a dower house for the family, and this was followed by Bretts Hall, Ansley Hall Blyth Hall at Shustoke and then Merevale Hall where their descendants the Stratford-Dugdales, still live today. Nuneaton Hall fell into dilapidation by the 18th century and is believed to have been demolished c. 1800. The exact date is not recorded although it is said to have been within the memory of old folks who lived in the town in the 1870's. The roadway known as Stratford Street was built on land called "Hall Gardens". No illustrations of the old property is known to exist so the location is only conjectural.